Strengthen the capacity of civil society organisations to effectively advocate for and implement environmental protection and awareness programmes. Effective policy-making pre-supposes the existence of decision-makers responsive to the views of a public well-informed about environment and development issues and their complex inter-relationships. By developing broad multi-sectoral discussion between government and local authorities officials, NGOs, scientists, community groups, trade unions, business leaders, and members of the general public, WomenAid is promoting a method of consensus-building, an important part of democratic decision-making processes. 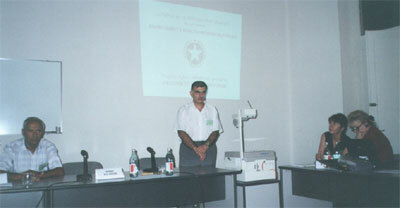 The aim is to engage a cross-section of Georgian society in debates on environmental risks and lobby national government and local authorities for action. Last year the NEHAP Forum gathered some 120 representtaives of Georgian NGOs, environmental professionals and government representatives to introduce the international development of the National Health & Environment Action Plan (NEHAP) strategies. The members of the Task Group for the drawing up of the Georgian draft NEHAP presented the Group’s approach. Subsequently the presentation of the Georgian Draft NATIONAL ENVIRONMENT & HEALTH ACTION PLAN (NEHAP) at a national conference was sponsored and organized by WomenAid International-Caucasus. A series of public consultations on specific environmental issue areas were also organized to assist feedback to the National Environmental Health Action Plan task group prior to submission of the NEHAP to the Georgian parliament for approval.